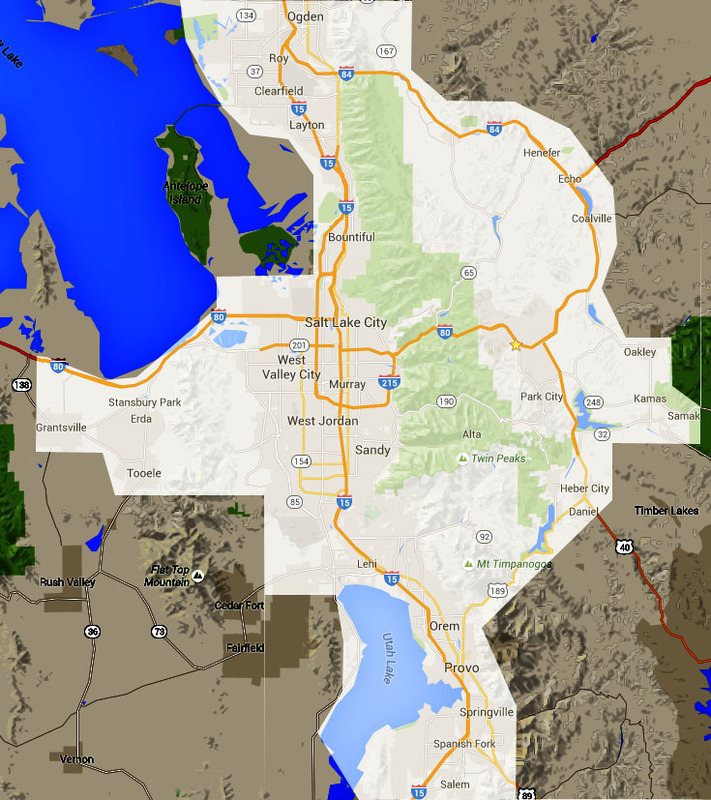 We are located in Salt Lake City, Utah, and do service & repair for customers in and around our local area. We service commercial coin-operated pinball machines, and a few select video games. We are an authorized Namco™ video game service source. Contact us with your needs to see if we can help. As professionals in the commercial pinball machine industry, we have over 39 years experience working with most makes and models of pinball machines- both old and new. We carry a large inventory of parts and supplies to cover a wide variety of service & repairs. Our goal is to provide prompt, fast service, and to be able to diagnose and/or repair your game in one visit. We have the most experience, the largest parts inventory, and the best service, of any pinball dealer in the Western states! Most types of basic service and repair work can be done on-site in one visit. Optionally, games can also be brought in to our shop to be serviced. Average service on most games usually takes 1 to 2 hours to complete. We can also help with games requiring more extensive service & repair. We service most makes and models of commercial coin-operated pinball machines including Alvin G., Bally, Capcom, Chicago Gaming, Data East, Gottlieb, Jersey Jack, Premier, Sega, Stern. We also service some video games. We are an authorized Namco-Bandai™ service source, and service many Namco games as well as some other popular models including Pac-Man, Ms. Pac-Man, Arcade Legends, Multicade. Call, or e-mail us with the name of your game, manufacturer, where you are located, and a description of the problem(s) or work you want done, and we can tell you if we can help, and give you some more information, as well as a free estimate. There are some games that we don't service. Feel free to check with us if you own something that is not listed above. We can make on-site service calls to most locations in and around our local area (Salt Lake City, Utah) to service and repair pinball machines. See our service area info below for more details. Call, or e-mail us for more information, a free estimate, or to schedule a service call. Most on-site service calls that we do are limited to basic repairs or service work that can typically be done within an hour or two. If your game requires more work than this, it may need to be brought into our shop for service. We can make arrangements to have you bring your game in, or may be able to pick up and transport your game for you at an additional cost, if our schedule and workload permit. Contact us for further info. We will only service games on location that are kept indoors, in a dry, temperature-controlled area (room temperature typically 65-80 degrees). We will not work on games that are kept outdoors or in non-climate-controlled areas during winter or summer months such as sheds or garages. Most games (especially older ones) will often not work properly if located in an area with extreme temperature conditions, or will operate intermittently in areas where the temperature/humidity fluctuates over the course of a year (garages, cabins, storage units, etc). An additional service call charge will apply if we have to come back to service a game if it is not located indoors at room temperature when we arrive for the initial service call appointment. If you have any pets or small children at your location, we request for safety reasons that they be kept out of the area when we're working on your game. We realize it's exciting and fun to have your game being worked on, but most game repairs are very difficult and require great caution, focus, and concentration for them to be done safely and correctly and without any damage to persons or property. Extra noise, disturbances, disruptions, pets, or children in the area can be very dangerous and very distracting, and even potentially harmful to ourselves, others, and your property. In the past, we have had pet problems, broken glass, knocked-over toolboxes, pinched fingers, stepped-on toes, and similar issues, so we politely ask for your courteous consideration when working on your game at your location. The better we can focus and work on your game, the quicker and cheaper the work can be completed. Please have your game ready in an accessible, well-lit, indoor climate-controlled area, so that it can be worked on properly. We will not work on games that are buried behind furniture or other items, wedged in a dark tight corner, cannot be moved due to items stored on/under/around them, or if any sides of the game are not easily accessible for service. If you can't get around, behind, in front of, or under your game, then neither can we. We do not do any moving of games or furniture, or remove any doors or other parts of your home/location due to liability considerations. So if any moving of the game or other obstructions needs to be done, please make arrangements to have this done in advance of the repair appointment, in order to avoid any additional charges for a return trip or to ensure that service is not refused. It's your dime, but we work much faster and more efficiently when left alone to do the job. (Think of someone looking over your shoulder while you're at your job...) Speed and efficiency makes for a lower repair bill (we charge by the hour). As much as we enjoy talking about pinball with our customers, carrying-on a discussion, or showing/explaining what we're doing while trying to work, these distractions take away a tremendous amount of focus/concentration, and increase the odds of something getting overlooked. It also increases the amount of time it takes to get the job done, which results in a higher repair bill. If you'll be with us while we repair your game, we recommend staying out of the way and giving us plenty of room to work and to move all around the machine during the service. Anything else you can do to help us focus and concentrate on the job as best we can will improve the quality of the work, and shorten the amount of time needed to do the work. This results in a better repair job, and a lower repair bill. Too many times in the past, we have had well-meaning customers get fingers pinched, knock glass over, get burned with soldering irons, trip over toolboxes, get electrical shocks, and encounter other various hazards and mishaps when trying to be "a part of the repair". No. We work on our own and come prepared to do the job, so do not need any assistance in doing our work. We kindly recommend simply leaving the work to us. Customers are welcome to bring games into our shop to be serviced. We are located in Salt Lake City, Utah. Please call or e-mail to set up an appointment before bringing your game in for service. We can also pick your game up for you and transport it to our shop for repair, for additional cost (if you are within our service area). Some games will have to be brought in to our shop for service, including those that need more extensive work/overhaul, or those that are owned by customers located outside our service area. You can also have your game shipped/transported to/from us by a freight carrier or delivery service- see our Game Packaging and Shipping page for more info. For games serviced at our shop, we accept only cash or credit/debit cards. We do not accept checks for in-shop service. Games must be picked up (or delivered) as soon as repairs are complete, otherwise they will be subject to storage fees and may be sold at customer's expense to cover any applicable storage and repair costs. We are not a storage facility, so make sure you can make arrangements ahead of time to pick your game up when repairs are complete. We can help your pinball machine with anything from general periodic service and repairs done on-site, to basic overhauls and tune-ups- even on a game you just bought "as-is", one that has been "sitting for years", or the all-too-common "eBay nightmare"! We deal with games like these all the time! Cleaning, polishing, and waxing playfield. Testing and adjusting game devices. Replacing rubber rings and bumpers. Replacing broken or worn-out drop targets. Overhauling playfield, including full tear-down and reconditioning. Repairing and replacing mechanical and electronic parts. Upgrading electronics in older/aging games. Replacing overheated connectors and wiring. Replacing burned out or faulty score displays. General game "tune-ups" and adjustments. Costs vary depending on exactly how much work you want done to your game, or exactly what it may need, and can also vary depending on the type and complexity of the game, and what parts may need to be installed. We charge a competitive hourly rate for our time, plus any parts that may be required. If you would like a free estimate for pinball service, simply call, or e-mail us and we will send you a quick reply. Name of your game (and possibly manufacturer). Description (brief or lengthy) of what problem(s) it has, or what you would like done. Please note that we only service games on-site within our local area. If you are outside our local area, we may be able to have you bring your game into our shop for service. Call or e-mail us if you have any questions or need any additional information! NOTE: On-site repair costs will be higher to areas outside the Salt Lake City metropolitan area due to distance/travel time required. Games can also be brought into our shop for service, which saves some cost. Most on-site service calls that we do are limited to minor repairs or service work that can be done within an hour or two. If your game requires more work than this, or if you are outside our service area, then you may bring your game into our shop for service. We can make arrangements to have you bring your game in, or may be able to pick up your game for you. Contact us for further info. Feel free to contact us if you have a game that you would like repaired, and we can give you more information, including a free estimate. We offer a competitve hourly rate for service, based mostly on our experience, expertise, and quality of work. We have over 39 years experience in the pinball industry, and are the best qualified in the state of Utah. Our rate applies to time spent working on your game, plus any travel time to and from your location. Parts and supplies are additional. Customers are welcome to bring their games in to our shop for service. Shop hours are by appointment only, so please call or e-mail us first to discuss needed service work and/or to set up an appointment to bring your game in. You can bring your game in on your own, or we may be able to come pick it up for you at additional cost. We do most on-site service calls in the morning hours, typically scheduled between 9am and noon, schedule and weather permitting. Other times may also be available- feel free to call or e-mail us if you would like more info, or to schedule an appointment. Written estimates for repair or service. Consultation work related to a game you currently own, previously owned, or a game you may be interested in buying from someone else. Inquiries or consultation on specific parts/accessories that we do not stock (such as researching parts, tracking parts down, parts technical issues, or locating parts for you). Looking up and/or researching parts/supplies/tech info for you. Tracking down parts from other suppliers (including any shipping and labor/time costs to obtain them). Work like this takes time for us to do, and that takes us away from other paid work, so we must charge for this type of work if you ask us to do it for you. Please ask about any of these items if you have any questions. These games do not use electronic circuit boards/displays, and were produced before 1977/1978. They typically have "flip numbers" and "bells" for scoring. We provide no warranty on parts/repairs on older electro-mechanical pinball games due to their old age and existing wear/tear on internal components. We also make no guarantee as to how long, or how well, the game may continue working. All work on these games is done strictly as-is. Most older electro-mechanical games can be very unpredictable in their operation and repair requirements, so we are unable to offer any warranty on work/parts on these games due to these considerations. On most electronic pinballs, we offer a 14-day warranty which covers the quality of our workmanship, and any new parts that we sell and install. There is no warranty beyond the 14 day period- no exceptions. If there is any defect in our workmanship or parts, it will become apparent within 14 days, under normal use of the machine. We do not extend our warranty for situations where you have not used the game since the repair, or have used it only "a little bit". The warranty's time limit is 14 days- no exceptions. Our warranty does not cover parts that you acquired from someone other than our shop. We reserve the right to not provide a repair warranty on certain games, or parts of games, if special circumstances apply, such as a game that has had modifications added or made to it, a game that has been customized or otherwise had it's factory design altered, a game that has unusually high wear & tear, had poor past repair work done, or has a circuit board with battery corrosion damage, etc. Such specific cases are explained to the customer, and noted, at time of repair. Please Note: An in-person examination will be required before we can determine if a problem is covered under warranty or not. If not, a new charge will apply for the return visit and/or diagnosis/repair. If a problem comes back, it may or may not be covered under warranty! Some problems in pinball machines can have multiple possible causes. If we fix a broken wire to get a flipper working again, it may stop working later if a switch or other component unexpectedly fails. This would constitute a "new repair" and would not be covered under warranty. However, if the repair we did on the broken wire has failed, this would be covered under warranty (ie: failure of our workmanship caused the problem to return). Additional charges will also apply if other work is requested in addition to warranty work. For example, if we make a warranty call to repair a problem at no charge, additional charges will apply if you request additional work to be done on that same visit- regularly hourly rate will apply for the non-warranty work to be performed, plus the charge for travel time. Warranty is Void if game is altered, modified, damaged, or worked on by customer, or anyone other than ourselves (Action Pinball), since we last repaired it. Any apparent signs of tampering or attempted repair will void our warranty, and a new charge will apply to return and fix the game again. Repairs On-Site: Games repaired on-site will be examined and repaired on-site, under warranty, if warranty applies. Repairs In Our Shop: Games repaired in our shop must be returned to our shop by customer, for any examination and warranty work. Transporting a pinball machine from location to location can cause things to get out of adjustment from vibrations, movement, jarring, etc. So if your game is repaired at our shop and is working when you leave our shop with it, there is a chance that something may get out of adjustment or stop working by the time you get to your destination. Such problems are not within our control and are not covered under repair warranty. A new charge will apply to repair any new problems that arise after the game has left our shop. Customers should take this into consideration whenever a game must be moved. We do some repairs on circuit boards in games that we service for local customers, but we do not do any "stand-alone" circuit board repairs. This means if you have a circuit board from your game that you want to send or bring in to us for "stand-alone" repair (ie: board repair without the game present), we will not be able to help you. If you have a circuit board that you want to "send out for repair", we would recommend you contact any of the following repair shops listed below, who may be able to help. The following is a list of repair shops around the U.S. that specialize in pinball machine circuit board repair. Some shops specialize in certain types/brands of games, as noted below. Shops listed below are not affiliated with us (Action Pinball) and we are not responsible for your particular dealings with any shop below, whether good or bad. We do not endorse any particular shop listed below- this listing is simply provided as a helpful reference to those seeking circuit board repair help. You can likely find some others in an internet search as well. Specialty: Some board repair, exchange, and good source of used working boards & parts for many games. Specialty: Most types of board repairs. Game servicing etc. Specialty: Zaccaria pinball circuit boards. Specialty: Electro-mechanical bingo pinball game parts, repairs, and game sales. Specialty: Most makes of pinball/video/coin-op board repair. Specialty: Pinball board repair: Williams, Bally, Gottlieb, Data East, Sega. Specialty: Early Bally, Stern, and Williams circuit boards and parts. Circuit board repairs. Repair Connection has become "Pin-Logic". See above for contact info. Specialty: Early Bally, Stern, and Williams games and circuit boards. Phone: (415) 893-9600, voice or fax. and rectifier boards (Bally -18, -49, -54). Specialists in Pac-Man/Ms. Pac-Man boards. We do not service any games outside our local area (see above for info on our local area) but the info below may help you to find the help you need- whether "doing it yourself" or looking for a repair person or company to service your game. Some "do it yourself" pinball repair info can be found on the internet, including www.homepinballrepair.com, www.pinrepairs.com, or www.pinrepair.com. Experience: There are good mechanics, and there are lousy mechanics. Ask the repair person if they are experienced and/or qualified to work on the particular type of game you have. Many larger coin-op "distributors" usually only deal in the later-model "high-tech" games, and may not have any knowledge or experience with older mechanical or early solid-state type games made decades ago. On the other hand, some companies or individuals my only be skilled in older mechanical games and may not know anything about electronic (solid-state) pinball machines (made after 1976). Or some may only work on certain types or brands of machines. So be sure to ask if the help you will be paying for is qualified to do proper work on your particular type of game, before you commit to scheduling a repair call or appointment. No point in paying good money if you aren't getting good work. Service Rate: A lot of people think that if they hire an expensive repair person, he will do the job quickly, properly, and be qualified to fix the game they have. This is rarely the truth. It's a good idea to ask what the service rate is, but also ask about experience with the type of game you have. Labor & service rates vary from company to company and do not always reflect the actual experience, or quality, of the work that the person you hire is going to do on your game. A cheap technician that is inexperienced may take 5 hours to fix a flipper. A more expensive technician may be qualified to do the job in a half hour, so the hourly service rate may not always reflect the kind of work you will get (or what the final bill will be). A cheaper repairman may end up costing more when all is said and done. Be sure to ask! Local Phone Directory: Check your local hardcopy or online "yellow pages" phone directory for pinball repair persons or shops. Most of these are listed under sections such as "Amusement Devices" or "Pinball". Before enlisting the help of a pinball company or repair person, we strongly advise asking if they, or their technician, are experienced with the kind of game you have.